In line with its long term commitment to promoting football development, the Football Kenya Federation (FKF) has today rolled out CAF C License coaching courses across the country. The three weeks coaching course is a follow up of the Basic/Advanced Basic coaching courses, conducted last year that saw 2000 tacticians trained on the same. “When we were elected a year ago, we made a commitment to change the game by ensuring that we provide quality education for our coaches,” said FKF president Nick Mwendwa. “Today I am happy to announce that the federation having successfully trained 2000 coaches last year, has rolled out CAF C license coaching courses that will see 140 coaches graduate on April 9, 2017. 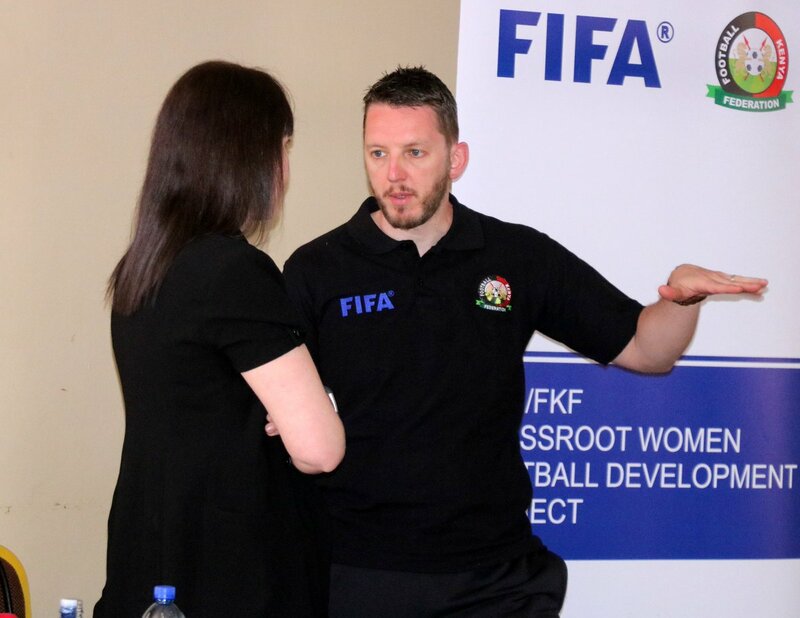 “It is our belief that this important course will not only help build capacity but also bridge a huge and sensitive gap that has in the past denied local coaches job opportunities both home and abroad,” explained the FKF president. The course, which is being held in Nairobi, Coast, Nyanza and Western Regions is one of two scheduled to be held this year, with the second one set for November 2017, this even as the federation embarks on training a further 2000 coaches in Basic/Advanced coaching courses this year also. The coach education initiative is one of the federation’s flagship project that aims to train 10,000 coaches in Basic/Advanced Basic, as well as create a pool of local coaches with CAF C, CAF B and CAF A licenses within the next four years.